ISBN 9781932419139. 8.27 x 11.69 inches. English text by Henry Sandwith Drinker. 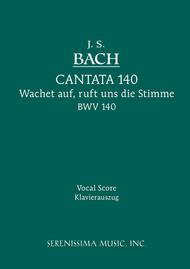 This is an unabridged digitally enhanced reprint of the vocal score originally issued ca. 1925 by G. Schirmer in New York, with an English translation by Henry S. Drinker. 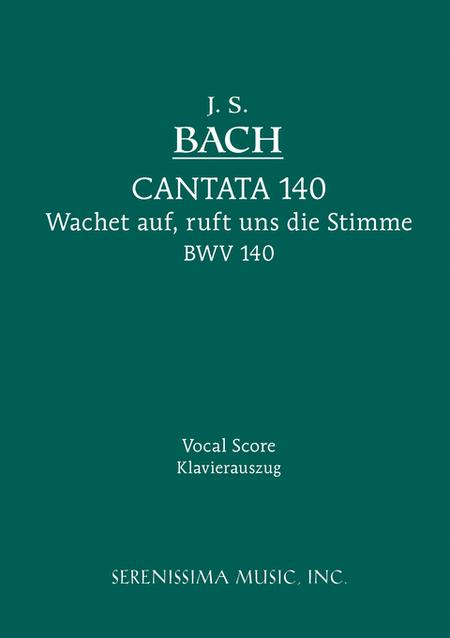 The Cantata 140 "Wachet auf, ruft uns die Stimme" is one of Bach's most widely performed choral works. It was premiered in Leipzig at the Thomaskirche on November 25, 1731 under the composer's direction.